Bethany Beach, DE Click Here for a Virtual Tour!Direct Access to the Beach. 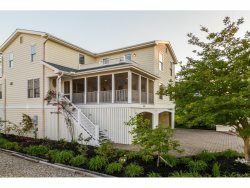 6 bedroom, 4.5 bath single family home. Central Air outside shower, ceiling fans, decks, Gas Grill, Dishwasher, W/D, micro, TV, VCR Large great room walking distance to the restaurants and shops. Also, a beautiful view of the ocean. No Pets and No smoking. The team was extremely attentive to our needs. We received a gift card to Grotto's Pizza because the cleaning team was delayed impacting entry into the property. This was greatly appreciated. Very comfortable and close to the beach!